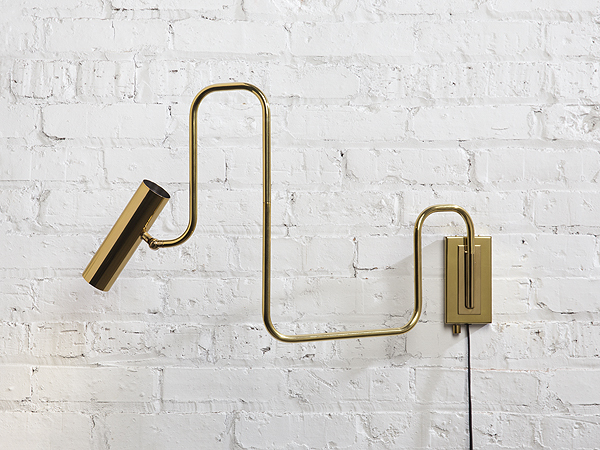 Pivot sconce. 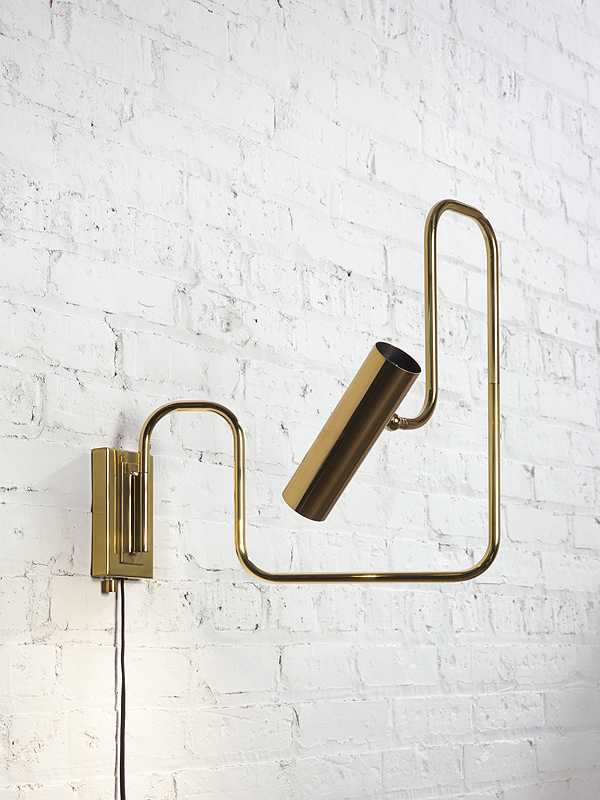 The Pivot LED Series with its articulated arm and adjustable head this brass lamp, is not only multidimensional, but it is an ever changing line drawing that nestles into a room. 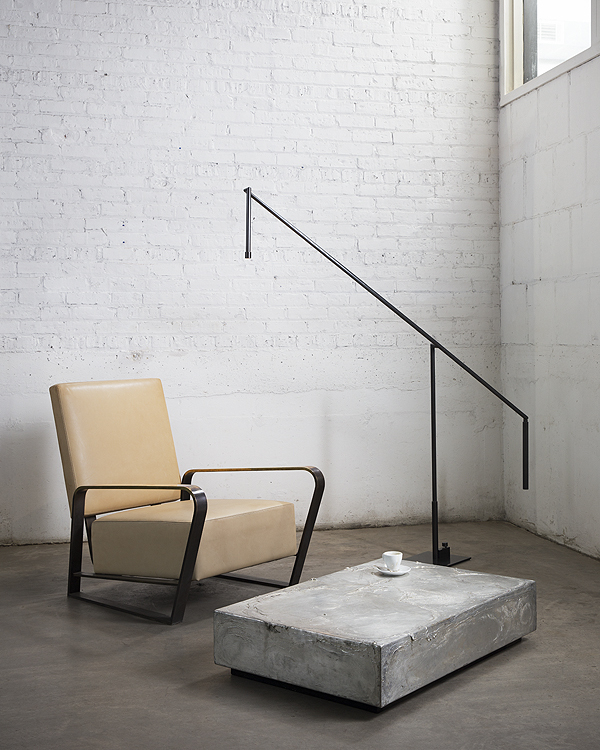 Reminiscent of industrial piping, the warmth of the refined material makes for an elegant lamp that conforms to a user’s every need in a unique and playful way that has a hint of vintage and yet completely contemporary. Available in the Single Sconce, Double Sconce, and Desk Lamp version and in both polished tarnished, darkened, hand rubbed brass finishes. Ribbon stool. 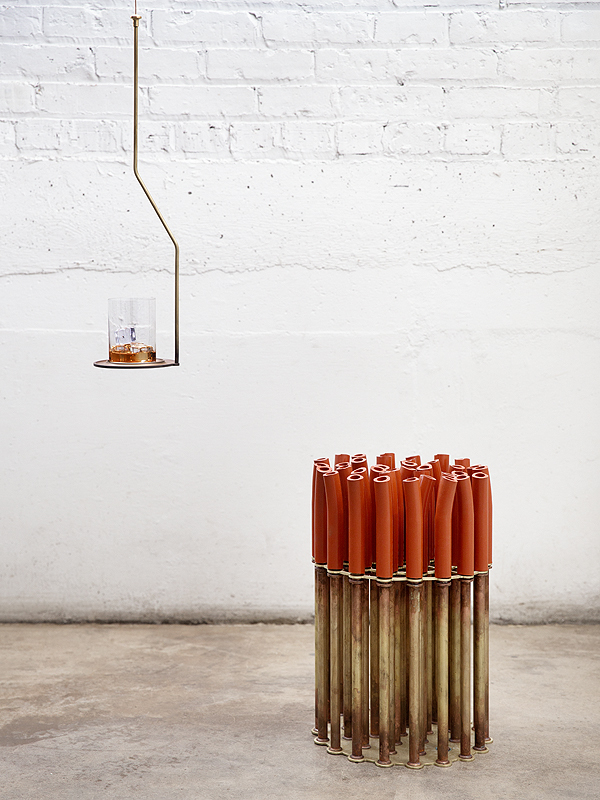 An exercise in minimalism and tension; What defines a stool and what is the least amount of material one can use while creating a comfortable resting place? 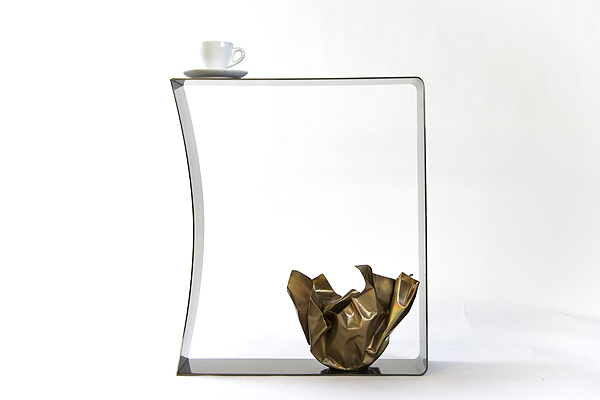 The Ribbon Stools are a combination of the side walls of brushed metal which is hand darkened and a polished top. These subtle material finishes between the sides and top give it an added depth of materiality and refinement. 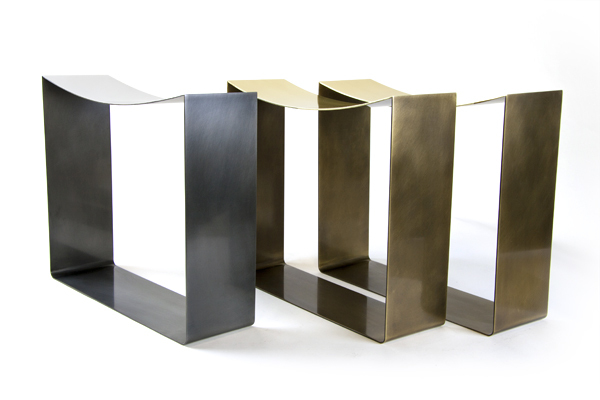 Available in steel and brass. Floor lamp. 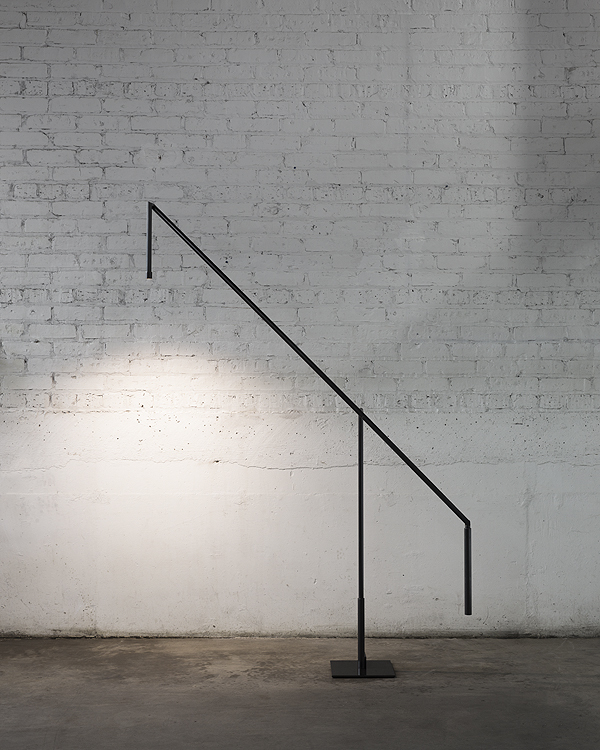 Inspired by the art of Sumi-e, Japanese black ink drawing, the lamp flows as if stroked in one consecutive line. The dimmable LED wall light is available in two finishes, darkened brass or hand-rubbed brass, all handcrafted in Chicago. size • 9″ x 9″ x 82″ Stool 1. Not sure if it is a stool, with tubes. 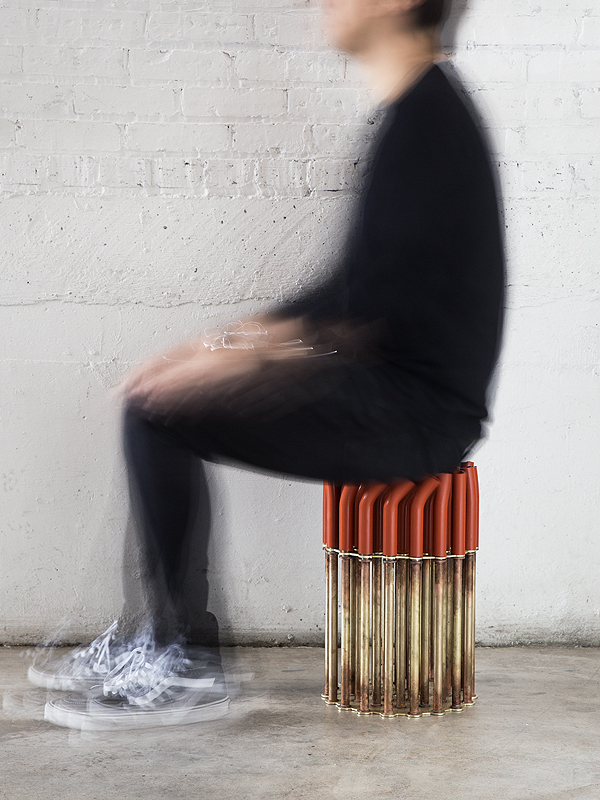 Sit on it and sure enough it is is, a stool with tubes. 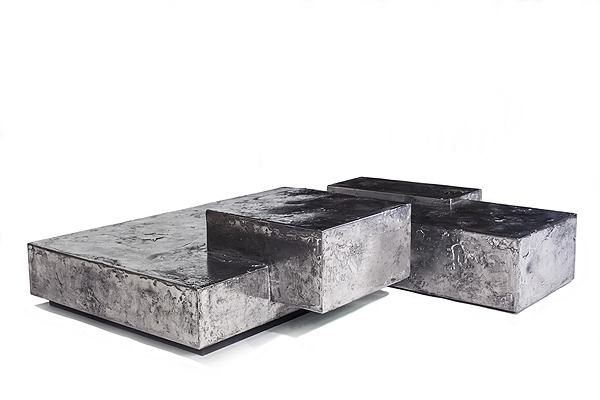 The Pewter Collection is a family of furniture pieces defined by their materiality and formal qualities. One crucible at a time, pewter is melted into liquid form and hand coated onto the steel structure, creating the other-worldly surface that makes each handcrafted pewter table unique. 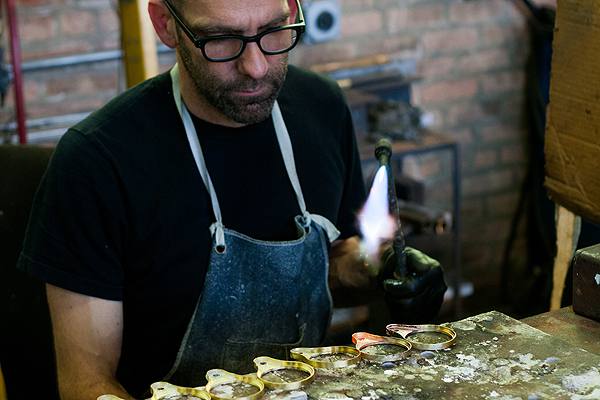 Through its manifestation of conceptual thought and dream like movements expressed through Christopher’s knowledge of materials and craftsmanship. The material finish on each piece turns into a creation unlike any other, embodying the surface of a lunar landscape and a one-of-a-kind sculpture. 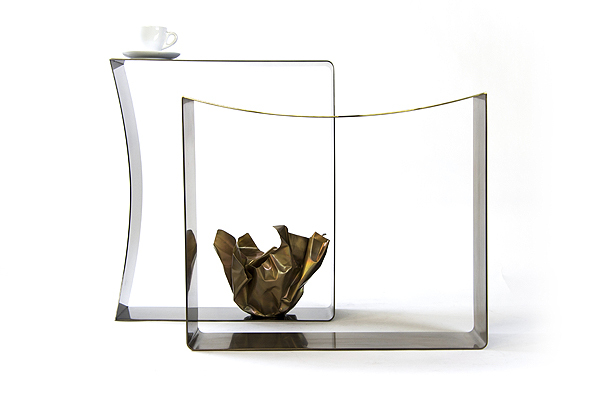 Available in the simple coffee table, Landscape Coffee Table and Console.